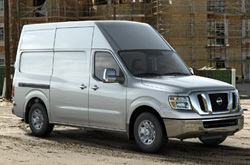 Have you ever wondered about the new Nissan NV 2500's features, specs and more?Find out below! As the premier automotive writers performed countless hours of research on the NV 2500 to provide you with the most perfect information possible. 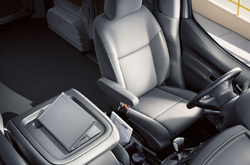 Loaded with important specs and information, each paragraph gives you complete access to all the Nissan NV 2500 has to offer. Is the NV 2500 your ticket to freedom on the road? Read on and find out. When comparing the 2013 Nissan NV 2500 head-to-head with the 2013 Ford E-Series, Mercedes-Benz Sprinter and the Chevy Express, and you'll see that the NV 2500 scores higher those autos in various aspects. Browse just a few of the reasons below. Nissan NV 2500 owners won't get the same exceptional factory-trained Nissan mechanics and bona fide Nissan parts at a chain service company. But at our Albuquerque dealership you'll receive this every time you visit, along with the joy that comes with attaining a lengthy service warranty. With maintenance from Reliable Nissan's car repair specialists your Nissan will run efficiently. We tackle a multitude of duties: from more involved, time consuming projects like engine maintenance to simple stuff like timing belt replacement and routine filter and oil changes. When electing a shop to service your NV 2500, make a sound choice and drive it to Reliable Nissan, where you'll get bargain pricing on Albuquerque car service and repair. You can browse coupons for repair at the following link.